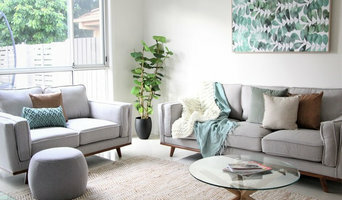 FAMILY HOME STAGING SPECIALISTS - Call Tracey now on 0401 312 323 Top Dollar : Tight Budget Home staging expert, Tracey McLeod leads a crack team of visual marketing experts to make your occupied home stand out and sell. In 2017, Tracey personally helped home sellers make from $45,000 to $250,000 more than expected prior to staging. Get started with a 2-HOUR Consultation for your family home. In this low cost, high impact home staging consultation for residential real estate sellers, Tracey professionally guides you through your home's presentation for sale, revealing the gold hidden in each room and how to accentuate it for the market. 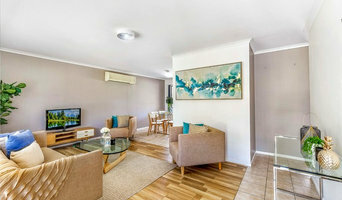 Professional home staging and propetry styling for the Gold Coast Elite Real Estate market. Staging your home for sale is investing into one of your largest investments. Research shows that over 80% of buyers find it easier to visualise your property as their future home if it is staged. Why……because when you highlight the best features of your home and create a space it that makes buyers feel right at home from the moment they see it. You know the saying about it only taking 30 seconds to make an impression so its important to get it right from the beginning. At Simple Styling Solutions we are here to help you achieve the best possible result when selling your property. We aim to help you do this both quickly but also for an attractive market price for all vendors regardless of market value. The International Institute of home staging suggests that statistically, a staged home sells 30-50% faster and for a 7-17% higher price than non-staged properties in a similar market. Let’s say the average house price on the Tweed Coast is approx. $550,000 for a small investment you could essentially increase that market value by an extra $50K is staged ready for sale. Simple Styling Solutions have a variety of packages to suit all needs at affordable prices. Not only will help will help prepare your home for sale through pre-sale consultation and advice we also offer furniture hire, open home staging and real estate photography. 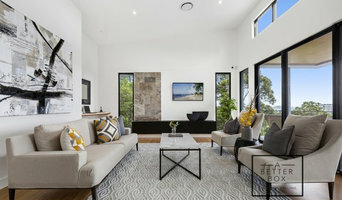 Buyers are super savvy these days, so it goes without saying that if the property is beautifully presented this creates buyer appeal and connects with them as they visualise themselves living in the property. So, if you are looking to maximise the value of your house when you sell then please contact us. I am the stylist with a Specialty. Soul Styling Interiors specialises in Farmhouses, Queenslanders and all homes in between. If your home is up for sale, or soon to be. SSI can create a space that will have the prospective home buyer feeling warm and invited. We specialise in creating spaces of individuality. So, if you feel like your home has a story to tell, then let’s chat! 5 Star Service 2 Star Price - Property Stylist and Property Staging Furniture Hire operating from the Gold Coast to Brisbane, and Northern NSW - "I bring my furniture & furnishings, homewares, accessories and artworks to you". So what stands out about me... Well, other than making your home look amazing, my pricing is highly competitive, I have the ability and flexibility to work on a very short timeframe, I take away your stress and I'm easy to deal with!!! From concept to final installation Trends Styling covers all aspects for creating the perfect home. When our Clients use Trends Styling, they come back again and again as it has proven to achieve amazing results for a premium price and a quick sale . Our aim is to achieve a home that is, unique, enduring and reflective of your needs, interests and lifestyle. We will work with you to achieve a creative, practical and aesthetically pleasing look and feel, all at your own pace and within your budget. Our motto is "When Second Best Is Not An Option"
Gold Coast Property Styling is the oldest Home Staging Company on the Gold Coast but we have been making properties look like new since 2009! Meg Ritchie Stylist/ Director comes from a background in Real Estate sales on the Gold Coast and before that Radio. We specialise in the whole process of selling your home from early consultation and strategy right through to Staging and the Photography. Fully Qualified in Interior Design and personal experience of buying and selling property since she was 20 years old. Harvey & Co. Interiors is a Gold Coast based interior styling business that will service the Gold Coast, Sunshine Coast and Brisbane Regions. Servicing the Gold Coast, Brisbane and Ipswich areas, Minimalist Stage & Style takes great pride in giving everyone the opportunity to prepare their property for sale at an affordable price with a quality outcome. Using a minimalist approach, the team of creatives at Minimalist Stage & Style have a passion for home decor and combining the right elements to produce beautiful living spaces. Specialising in sale preparation of home and investment properties the Minimalist Stage & Style team use the key principles of creating a minimalist look. Are you sometimes wondering how to create a beautiful space? Do you find that you have too many 'dust collectors' or find yourself admiring other people's homes? Just not sure how to 'put things together'? Is your home too crowded and feels cluttered? If you would you like to remove or re-design furniture to bring better feng shui and qui (good energy) to your home - now is the time, why put it off? I provide a styling and decorating service, in your home - for your home - with your own pieces to renew and revitalise your space. If you are wanting to create a new look in a room or a full home, your AIR BNB or looking to style your home for sale. I can style or design to your needs to create a calm and inviting, functional and welcoming space for you or your potential new home owner/guest. Are you sometimes wondering how to create a beautiful space? Do you find that you have too many 'dust collectors' or find yourself admiring other people's homes? Just not sure how to 'put things together'? Is your home too crowded and feels cluttered? If you would you like to remove or re-design furniture to bring better feng shui and qui (good energy) to your home - now is the time, why put it off? As a qualified Interior Designer and Colour Consultant I am happy to meet with you to uncover your desires! Covering the Gold Coast region by appointment, services can be quoted on as required. Styled By Me is a fresh, fun and innovative team of stylists who prepare properties for sale to achieve the highest possible pricing result for our clients. We also offer display suite fit-outs and furniture packages for investors wanting to maximise their rental return by leasing their investment property fully furnished. The Home Stylist or Stager works to prepare your Gold Coast, Queensland home for the Queensland real estate market. Find a home stylist or stager on Houzz. Narrow your search in the Professionals section of the website to Gold Coast, Queensland home stylists. You can also look through Gold Coast, Queensland photos by style to find a room you like, then contact the professional who styled it.